The application of pesticides in agriculture is a widely-used way to alleviate pest stresses. However, it also introduces various environmental concerns due to the offsite movement of pesticide residues towards receiving water bodies. While the application of process-based modeling approaches can provide quantitative information on pesticide exposure, there are nonetheless growing requirements for model development and improvement to better represent various hydrological and physico-chemical conditions at watershed scale, and for better model integration to address environmental, ecological and economic concerns.  The Soil and Water Assessment Tool (SWAT) is an ecohydrological model used in over 3,000 published studies, including about 50 for simulating pesticide fate and transport at the watershed scale. To better understand its strengths and limitations, we conducted a rigorous review of published studies that have used SWAT for pesticide modeling. This review provides recommendations for improving the interior algorithms (fate simulation, pathway representation, transport/pollution control, and other hydrological related improvement) to better representnatural conditions, and for further extension of pesticide exposure modeling using SWAT by linking it with other models or management tools to effectively address the various concerns of environmental researchers and local decision makers. Going beyond past studies, we also recommend future improvement to fill research gaps in developing modularized field level simulation, improved BMPs, new in-pond and in-stream modules, and the incorporation of soft data. 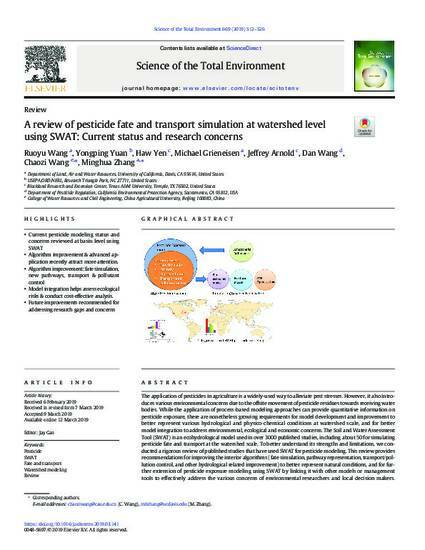 Our review pointed out a new insight of pesticide fate and transport modeling at watershed level, which should be seen as steps leading to the direction for model development, as well as better addressing management concerns of local stakeholders for model implementation.